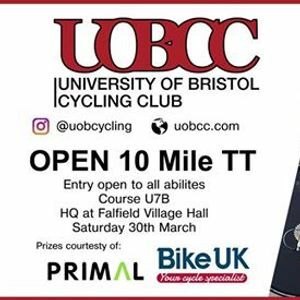 We are very sorry to have heard that roadworks will be on the U102 course on the 30th of March. Therefore the course will now be held on the U7B. This is still cyclable from Bristol and we hope that this doesn't inconvenience anyone. Thank you for your understanding. 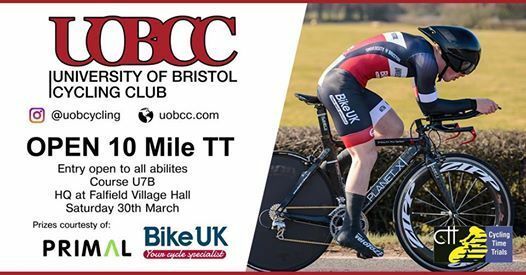 Time to stretch out your hammies and get aero as we invite riders of all abilities to ride 10 miles as fast as you can in our annual open Time Trial. This event is open to everyone from across the land, so you (yes - YOU) are warmly welcome to enter - no matter how fast, slow, old or chopper-esque. Never tried a TT? Give this one a shot. We take pride in having a large range of abilities enter our events. There’ll be cake available afterwards in any case. The HQ is Falfield Village hall and is situated very near the start line. The start is easily cyclable from Bristol and easy to access from other parts of the West District. Course code is U7B. 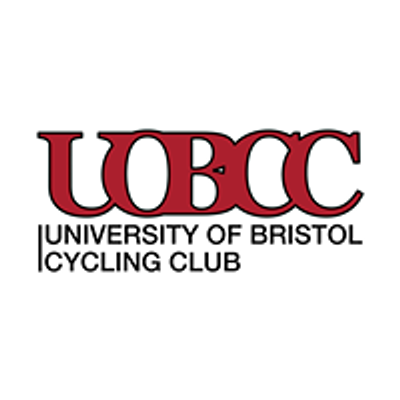 We are very happy to announce that this event is not only an open TT, but will also be the varsity TT between UWE Cycling Club, University of Bath Cycling Club and University of Bristol Cycling Club. There will be a men's and women's varsity category working in the same way as the open men's and women's open team category.